If you ever find yourself in Dublin, make sure to step away a bit from the busy city centre and go to the quiet old military barracks where you’ll find the National Print Museum. Just a short 15 minute walk will lead you to this wonderful museum full of historical printing machines. 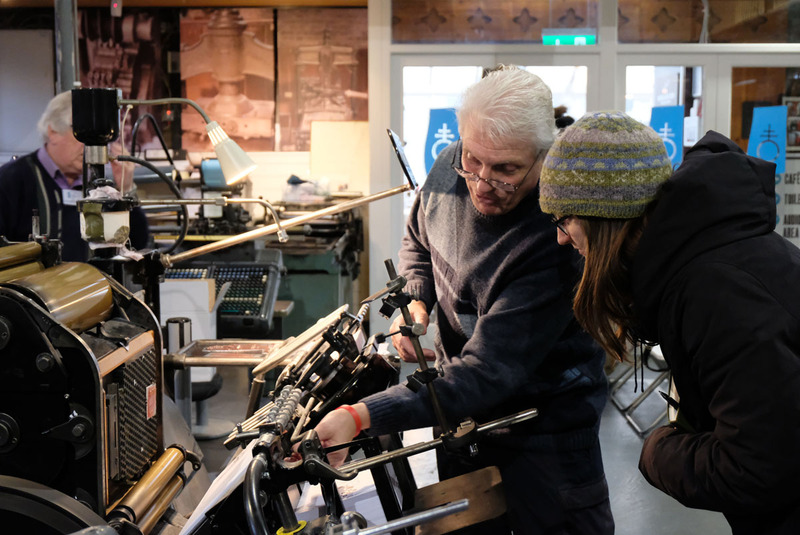 Starting with a replica of Gutenberg’s press, the museum’s workers will happily tell you the story of printing and how each each and every machine which might catch your interest was used. 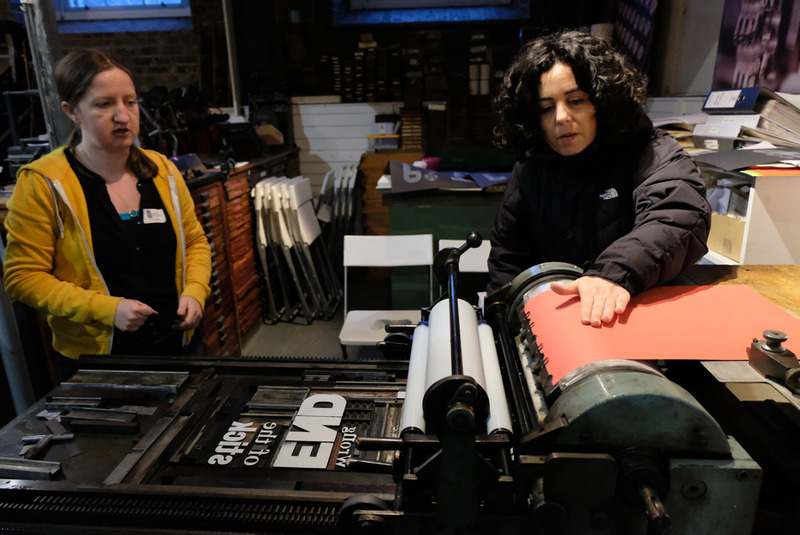 Retired print makers and compositors (type setters) will demonstrate how all the machines work — and will even throw in a few stories drawing from their past experiences for free. Donna tells the story of how Gutenberg invented letterpress printing. How did we find ourselves at the National Print Museum? The Creative Makers (CREAM) project chose the museum as the site for its first transnational workshop. And so, educators and artists from all four partner nations gathered to learn how the museum organizes its workshops for children. What better way is there to learn than to experience it for yourself? And so, embracing our inner child, we tried to print with Styrofoam and bind notebooks — everything was simplified so that even children can easily manage. 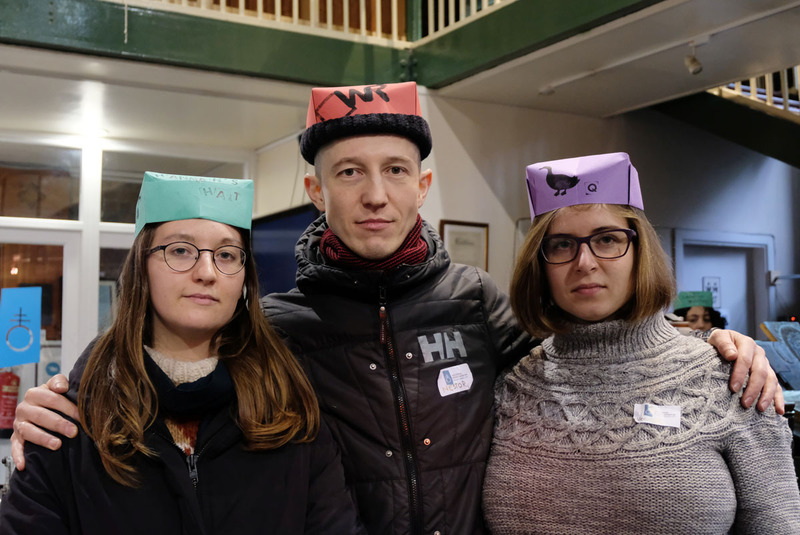 For the first time in our lives we also made print makers’ hats. The hats were once used to protect a print maker’s hair from dust and oil — as well as from getting caught in their machines. These hats were made every morning out of old newspaper and then discarded at the end of each day. We also took part in higher-level workshops including one on type-setting. We enjoyed working in groups — pretending to be families, as families are the usual participants — to create posters. It took us almost all afternoon! 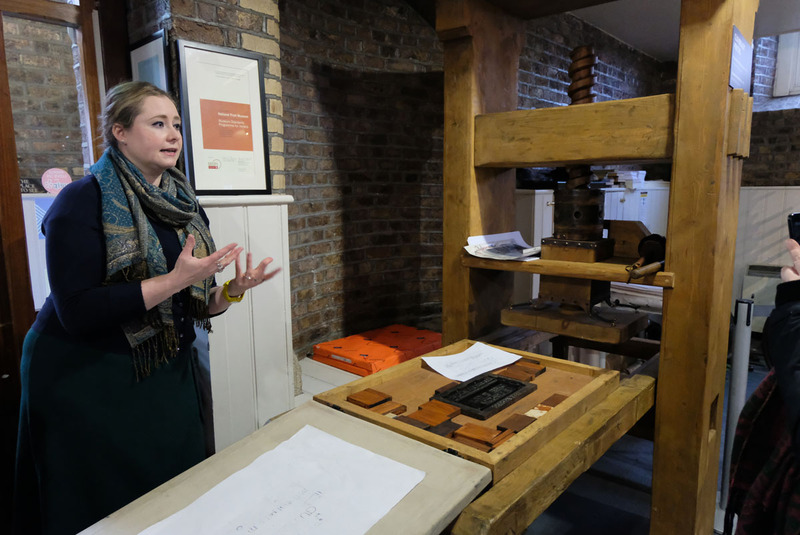 Hannah discuses the workings of their Heidelberg press with Freddie, who promised to visit us. We also visited the local fablab TOG to learn how they run their educational programmes. 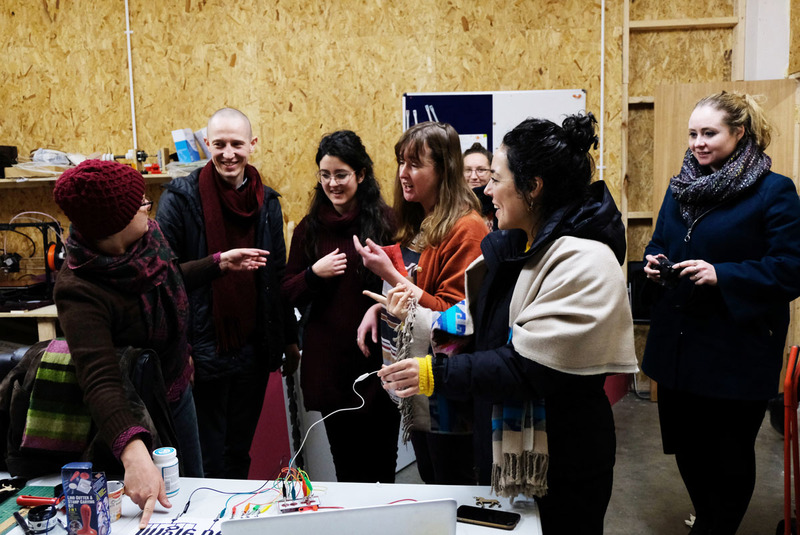 Their workshop is full of impressive digital tools, which are frequently used to teach children how electricity works. Both spaces provided us with inspiration and gave us lots of new ideas to think about. A vision of our own makers lab is slowly starting to form. That idea waits for us further down the road as we are expecting all of our project partners to come visit us at our Labora workshops in April 2018! 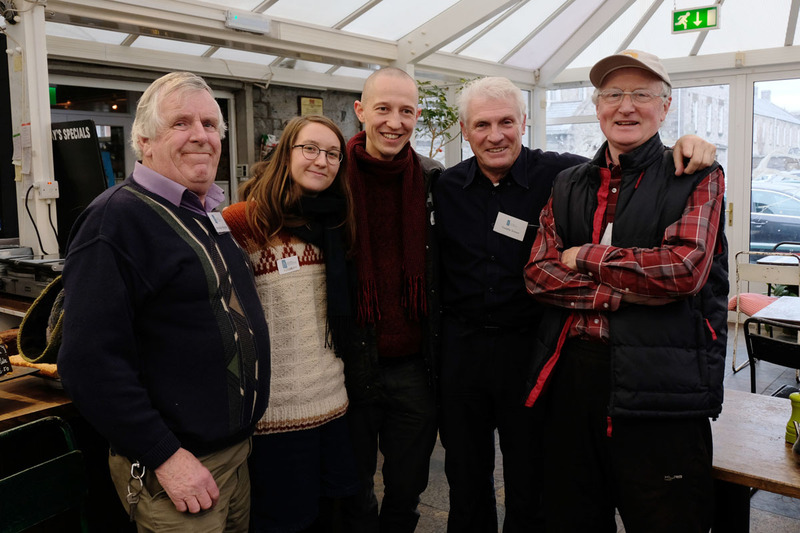 Meeting with Harry, Brandon, and Freddie (compositor and print maker) at the National Print Museum in Dublin was definitely the highlight of our visit! View the full photogallery here.